These are the qualities that lead to career advancement. None of which will get you selected for promotion. Trying to live with this sensory overload only burns us out faster, by causing chronically high adrenaline levels. Instead, we need to escape from it, if only for a few minutes. Meditation is the perfect way to do that. 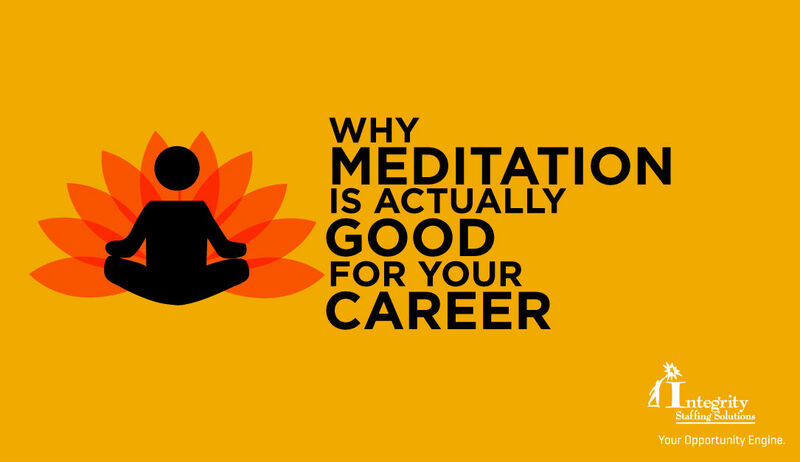 One study showed that after only 15 minutes of meditation, workers received higher performance ratings. It’s also a well-proven medical tool for alleviating stress-related disorders such as cardiovascular disease, asthma and obesity. You don’t have to get involved in some mysterious, complex spirituality in order to practice meditation. At its simplest, meditation is just sitting quietly (with no distractions from your phone, etc.) and emptying your mind of all thoughts, worries and emotions. For most people, this isn’t easy at first, so they will focus on just one thought to keep out all others. You could repeat a single word, such as “Peace.” Or concentrate on keeping your breathing slow, deep and even. If your company doesn’t offer an opportunity to meditate during a work break, you can still reap its benefits by meditating at home. And if you’re job hunting right now, it can also help you handle the stress and anxiety of the situation. And that could help you beat the competition to a great job offer!